A 5-Star Park as awarded by the British Tourist Council overlooking a rugged stretch of scenic coastline with just a short pathway to the sheltered beach below, perfect. 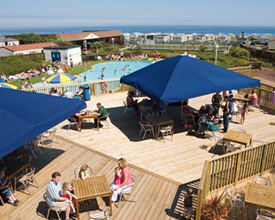 The gorgeous sun-terrace overlooking the outdoor pool at Berwick is a favourite spot to enjoy a drink or a meal. 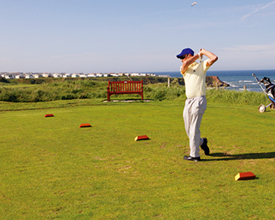 Historic Berwick-upon-Tweed lies to the right, an 18-hole golf course to the left and your complete family holiday centre is in between. A 5-Star Park as awarded by the British Tourist Council overlooking a rugged stretch of scenic coastline with just a short pathway to the sheltered beach below - perfect. 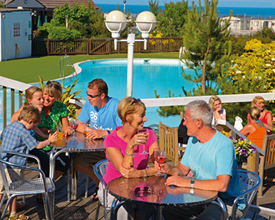 The gorgeous sun-terrace overlooking the outdoor pool at Berwick is a favourite spot to enjoy a drink or a meal. Historic Berwick-upon-Tweed lies to the right, an 18-hole golf course to the left and your complete family holiday centre is in between. How will you spend your day? Maybe a morning in the heated pool complexes, or trying your hand on the All-Weather Bowling Green? For a spot of lunch, pop into the brand new Mash and Barrel Lounge-Bar-Cafe, before taking part in an Archery session, or exploring Northumberland. Come evening, head off to the ShowBar for a drink, live music and dancing. Whether out and about or staying on Park, you're sure to have a great holiday at Berwick. 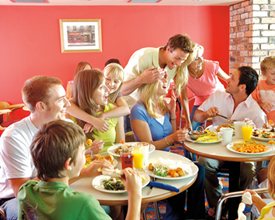 Berwick Holiday Centre offers the following facilities. The northern most town in England, Berwick upon Tweed is a popular holiday resort. With direct access to the beach from the park means you can take a walk along a stunning stretch of sandy beaches at Bamburgh, with the Castle providing the backdrop to a gorgeous coastal setting that goes on for miles. You could discover the natures of the sea by exploring the rock pools or just go for a stroll along the pier. For a great day for the whole family try visiting Hadrian�s Wall - 73 miles of Roman fortification stretching across England from coast to coast. South of Berwick you will find the Heritage Coast which is now officially named an Area of Outstanding Natural Beauty. Other places of interest include Berwick�s Mute Swans which are the second largest colony of mute swans in Britain, or visit Berwick Barracks where England�s first Barracks were built. 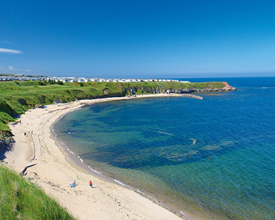 Have you been to Berwick Holiday Centre? Please submit your review so that others can benefit from your experience. Important note: Information provided here about Berwick Holiday Centre is based on our best knowledge. However, please check with Berwick Holiday Centre before booking to ensure that you have the information required. Reviews are the sole views of the contributor and do not necessarily represent the views of CampsitesandCaravanParks.com or Berwick Holiday Centre.